Derek Zhi Guang Chiu is a seasoned Canadian pianist and piano pedagogue from Calgary, Alberta. His extensive training also includes mentorship from several notable Canadian teachers such as Dr. E. Gregory Butler and Joel Hastings at The University of Windsor. Chiu had additional studies in piano pedagogy with Dr. Thomas Green. Under the guidance of Solomon Mikowsky (featured in Benjamin Saver’s book The Most Wanted Piano Teachers in the USA) and Donn-Alexandre Feder at the Manhattan School of Music in New York, Chiu graduated with a Master of Music degree in 2003. 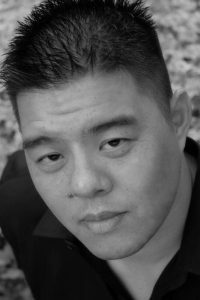 During his studies at the Manhattan School of Music, Chiu was mentored in chamber music by well-known pianist Daniel Epstein of the Raphael Trio and engaged in rigorous studies in Baroque and Classical performance practices with Kenneth Cooper, one of the world’s foremost music specialists in the music from those eras. Chiu has performed in master classes in Canada, Europe, and the United States for Janina Fialkowska, Robin Harrison, James Howsmon, Lorrin Hollander, Ramzi Yassa, Cecilio Tieles, and Jesus Angel Rodriquez. In November 2013, he was awarded The Odyssey Award by the University of Windsor Alumni Association. The award recognizes alumni who are in the early years of their career path, having distinguished themselves through successes in career endeavors, notable achievements in their local community, or through a significant or innovative achievement in their professional or personal life. Chiu’s performance that evening was hailed as the “highlight” of the Alumni Association’s annual awards night. He has performed solo and chamber recitals throughout Canada, the United States, and Europe, in addition to multiple orchestral engagements with the Windsor Community Orchestra, Briercrest College, and Rockland Symphony Orchestras. Chiu has more recently been invited to perform two Mozart concertos in 2016 and 2017 with The Rocky Mountain Symphony Orchestra in their inaugural season. In addition to maintaining a full performance schedule, Chiu is a devoted piano pedagogue. He has presented pedagogical ideas on cognitive practice, aural skills development, sight reading, memorization of music, and more recently, integrated pedagogical principals in The Royal Conservatory of Music’s 2015 Piano Syllabus. His academic lectures include the music of Chopin, Liszt, and Mozart. He is a sought after music adjudicator and guest teacher. Chiu has been an active member of The Royal Conservatory of Music’s College of Examiners since 2006 and is currently the Alberta Regional Representative for The Royal Conservatory.